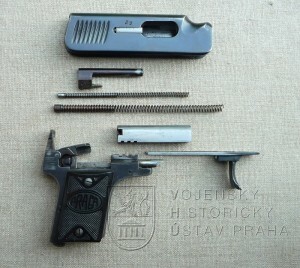 This cute little pocket pistol was an early project of Vaclav Holek, who would become much better known for his work with the ZB-26 light machine gun and ZH-29 rifle. 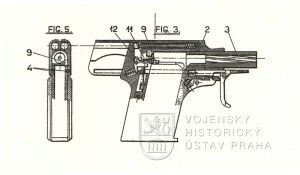 It is a very small .25ACP selfloader, intended to be operated with one hand only. The trigger locks into a folded position to allow smooth carry and draw, and drops down for use then the slide is slightly retracted. The contoured cutout atop the slide allows for the use of the index finger to operate the slide. Only about 8,000 of these were made – not a complete flop, but not successful enough to remain in production for long. 前の記事 My Steyr AUG the ELCAN and more.